Alexander's most significant reform as emperor was emancipation of Russia's serfs in 1861, for which he is known as Alexander the Liberator (Russian: Алекса́ндр Освободи́тель, tr. Aleksandr Osvoboditel; IPA: [ɐlʲɪˈksandr ɐsvəbɐˈdʲitʲɪlʲ]). The tsar was responsible for other reforms, including reorganizing the judicial system, setting up elected local judges, abolishing corporal punishment, promoting local self-government through the zemstvo system, imposing universal military service, ending some privileges of the nobility, and promoting university education. 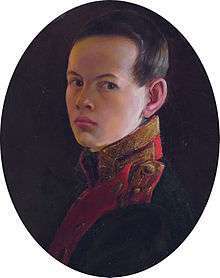 Born in Moscow, Aleksandr Nikolaevich was the eldest son of Nicholas I of Russia and of Charlotte of Prussia (daughter of Frederick William III of Prussia and of Louise of Mecklenburg-Strelitz). His early life gave little indication of his ultimate potential; until the time of his accession in 1855, aged 37, few imagined that posterity would know him for implementing the most challenging reforms undertaken in Russia since the reign of Peter the Great. In the period of his life as heir apparent (1825 to 1855), the intellectual atmosphere of Saint Petersburg did not favour any kind of change: freedom of thought and all forms of private initiative were suppressed vigorously. Personal and official censorship was rife; criticism of the authorities was regarded as a serious offence. The education of the Tsesarevich as future emperor took place under the supervision of the liberal romantic poet and gifted translator Vasily Zhukovsky, grasping a smattering of a great many subjects and becoming familiar with the chief modern European languages. 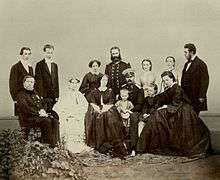 Aleksandr's alleged lack of interest in military affairs (as detected by later historians) resulted from his reaction to the effects of the unsavoury Crimean War of 1853-1856 - on his own family and on the whole country. Unusually for the time, the young Alexander was taken on a six-month tour of Russia (1837), visiting 20 provinces in the country. 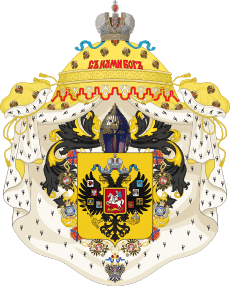 He also visited many prominent Western European countries (1838-1839) As Tsesarevich, Alexander became the first Romanov heir to visit Siberia (1837). 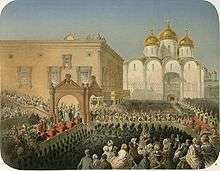 Procession of Alexander II into Dormition Cathedral from the Red Porch during his coronation. 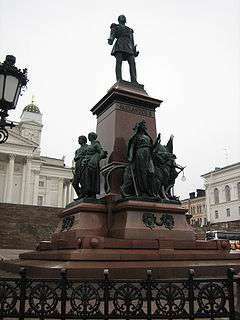 It was during Alexander II's rule that the Caucasian War (1817-1864) reached its climax. Just before the conclusion of the war with a victory on Russia's side, the Russian Army, under the emperor's order, sought to eliminate the Circassian "mountaineers" in what would be often referred to as "cleansing" in several historic dialogues. 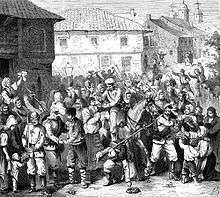 In April 1876 the Bulgarian population on the Balkans rebelled against Ottoman rule. The April Uprising was suppressed, causing a general outcry throughout Europe. Some of the most prominent intellectuals and politicians on the Continent, most notably Victor Hugo and William Gladstone, sought to raise awareness about the atrocities that the Turks imposed on the Bulgarian population. To solve this new crisis in the "Eastern question" a special conference was convened in Constantinople at the end of the year. The participants in the Conference failed to reach a final agreement. After the failure of the Constantinople Conference, at the beginning of 1877 Emperor Alexander II started diplomatic preparations with the other Great Powers to secure their neutrality in case there was a war between Russia and the Ottomans. 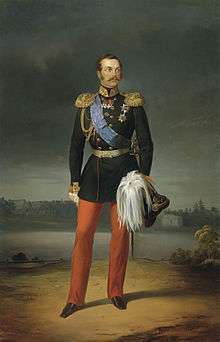 Alexander II considered such agreements paramount in avoiding the possibility of placing his country in a second disaster, similar to the Crimean War. In 1877, Russian general Iosif Gurko liberated Veliko Tarnovo, ending the 480-year rule of the Ottoman Empire. The Russian Emperor was successful in his diplomatic endeavours. Having secured agreement to non-involvement by the other Great Powers, on 17 April 1877 Russia declared war upon the Ottoman Empire. 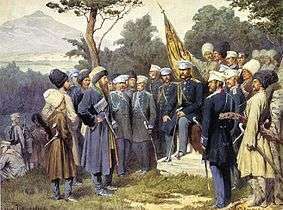 The Russians were successful against the Turks and the Russo-Turkish War of 1877–1878 ended with the signing of the preliminary peace Treaty of San Stefano on 19 February (3 March N.S.) 1878. The treaty and the subsequent Congress of Berlin secured the emergence of an independent Bulgarian state for the first time since 1396, and the tsar's nephew, Prince Alexander of Battenberg, was elected as the Bulgarians' first ruler. 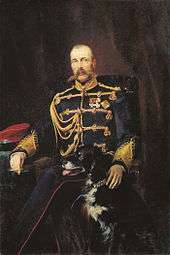 For his social reforms in Russia and his role in the liberation of Bulgaria, Alexander II became known in Bulgaria as the "Tsar-Liberator of Russians and Bulgarians". A monument to Alexander II was erected in 1907 in Sofia in the "National Assembly" square, opposite to the Parliament building. The monument underwent a complete reconstruction in 2012, funded by the Sofia Municipality and some Russian foundations. The inscription on the monument reads in Old-Bulgarian style: "To the Tsar-Liberator from grateful Bulgaria". There is a museum dedicated to Alexander in the Bulgarian city of Pleven. 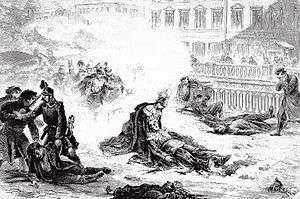 Alexander II's death caused a great setback for the reform movement. One of his last acts was the approval of Mikhail Loris-Melikov's constitutional reforms. Though the reforms were conservative in practice, their significance lay in the value Alexander II attributed to them: "I have given my approval, but I do not hide from myself the fact that it is the first step towards a constitution." In a matter of 48 hours, Alexander II planned to release these plans to the Russian people. Instead, following his succession Alexander III under the advice of Konstantin Pobedonostsev chose to abandon these reforms and went on to pursue a policy of greater autocratic power. Oscar Wilde's first play Vera; or, The Nihilists, written in 1880 – Alexander II's last year – features Russian revolutionaries who seek to assassinate a reform-minded Emperor (and who, in the play, ultimately fail in their plot). Though Wilde's fictional Emperor differs from the actual Alexander, contemporary events in Russia – as published in the British press of the time – clearly influenced Wilde. ↑ The McGraw-Hill encyclopedia of world biography: an international reference work. McGraw-Hill. 1973. p. 113. ↑ Edvard Radzinsky, Alexander II: The Last Great Tsar, pp. 65–69, 190–191 & 199–200. ↑ Maine, Henry (1888). International Law: A Series of Lectures Delivered Before the University of Cambridge, 1887 (1 ed.). London: John Murray. p. 128. Retrieved 29 September 2015. ↑ Morfill, William (1902). 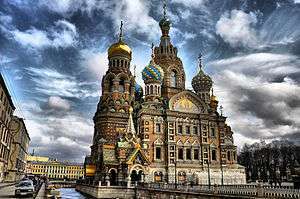 A history of Russia: from the birth of Peter the Great to Nicholas II. James Pott. p. 429. ↑ Harris, Richard. Mother's recounting of her father's experience. This article incorporates text from a publication now in the public domain: Chisholm, Hugh, ed. (1911). 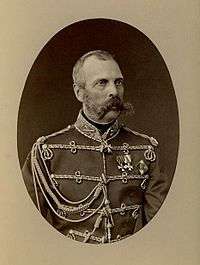 "Alexander II. (tsar)". Encyclopædia Britannica (11th ed.). Cambridge University Press. Crankshaw, Edward (2000). The Shadow of the Winter Palace: The Drift to Revolution, 1825–1917. Da Capo Press. ISBN 978-0-306-80940-8. Eklof, Ben; John Bushnell; L. Larisa Georgievna Zakharova (1994). Russia's Great Reforms, 1855–1881. ISBN 978-0-253-20861-3. Polunow, Alexander (2005). Russia in the Nineteenth Century: Autocracy, Reform, And Social Change, 1814–1914. M E Sharpe Incorporated. ISBN 978-0-7656-0672-3. Zakharova, Larissa (1910). Alexander II: Portrait of an Autocrat and His Times. ISBN 978-0-8133-1491-4.